Win $200! Easy to Enter~Fun for the whole family! 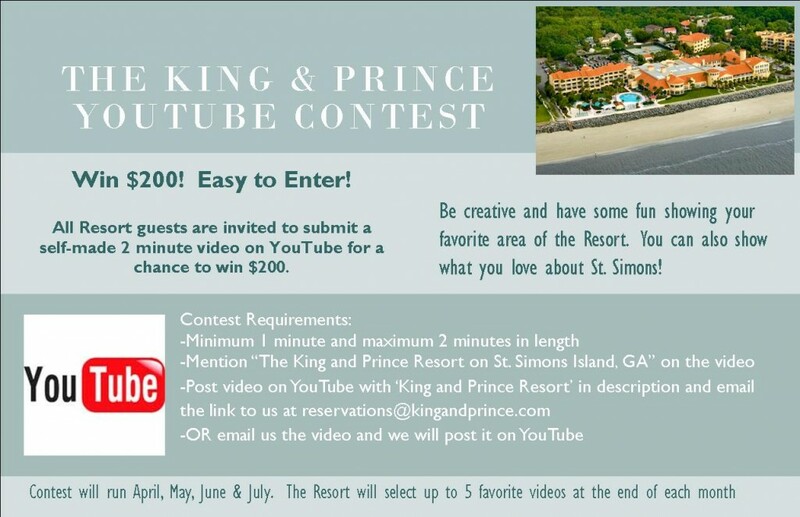 The King and Prince announces a new travel contest. All Resort guests are invited to submit a self-made 2 minute video of their stay at The King and Prince on YouTube for a chance to win $200. Be creative and have some fun. We would like to see your favorite area of the Resort. 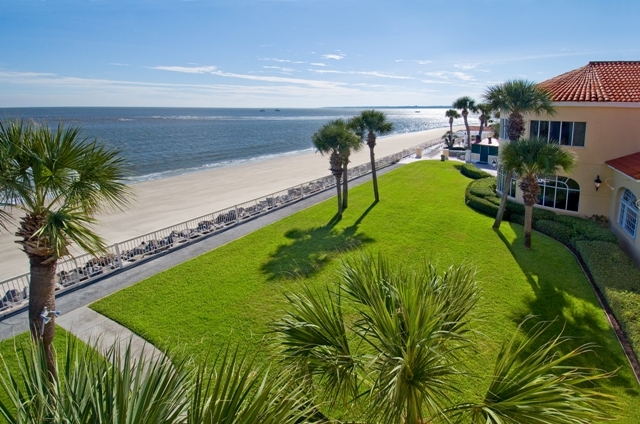 You can also show what you love about St. Simons Island! Minimum 1 minute and maximum 2 minutes in length. Video contest will run April, May, June & July. The Resort will select up to 5 favorite videos at the end of each month. The winners will be notified by email and will receive a $200 credit from their previous stay. Enter Our Online Video Contest For A Chance To Win!